Welcome to Maple Leaf Sugaring! 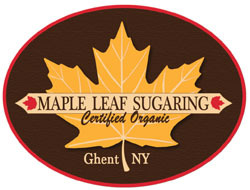 We are a family owned and operated certified organic maple sugaring operation located in Ghent, NY. We produce high quality maple syrup from over 5,000 taps. We boil with a high efficiency wood fired evaporator that allows us to produce high quality maple syrup while consuming 25-35% less wood. Along with our certified organic maple syrup we produce maple cream, molded maple sugar, and maple cotton candy. 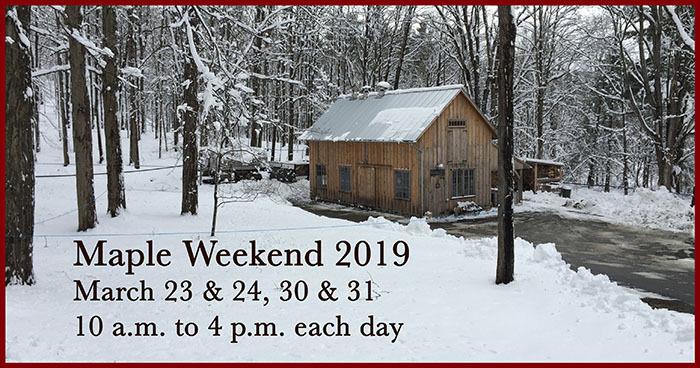 Maple Weekend is a family-friendly event for visitors to come join us and learn how maple syrup is crafted! We will provide tours of our operation where we begin with a short walk in the woods to see the sweet sap coming from the tree, followed by a tour of the whole process. We will end the tour back in the sugar house where we will provide visitors with complimentary samples of sap, syrup, maple cotton candy and maple cream. Additionally, all items available for purchase. © 2017 Mapleleafsugaring.com. All rights reserved.